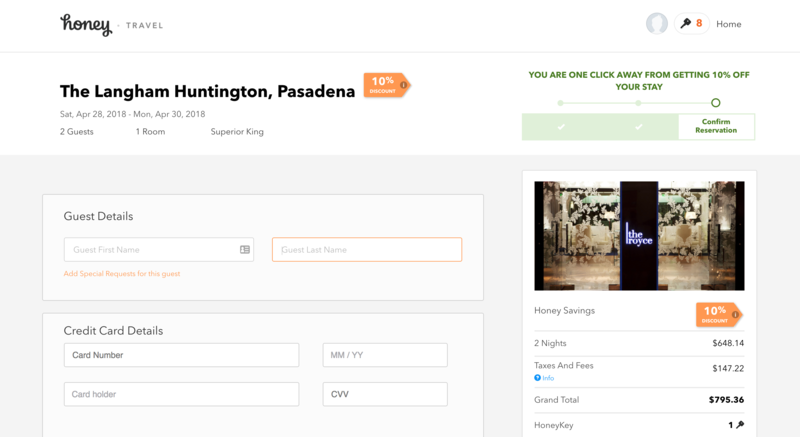 Honey Travel offers our Members access to hotel inventory across the world with prices that are typically lower than hotels featured on other booking sites. 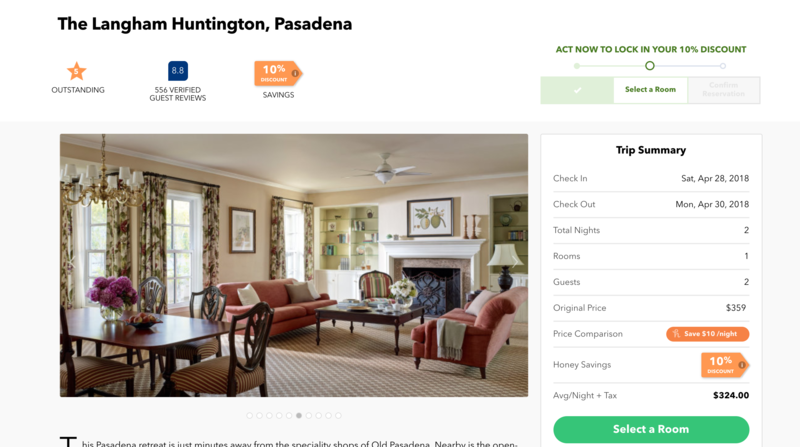 Honey also shows price comparisons with Priceline, Hotwire, Booking.com, and other sites so you can see you're getting the best price. Both U.S. and international Honey members can unlock these discounts with Honey Keys. When you use the Honey extension to shop online, you'll collect Honey Keys – virtual keys that give you access to our exclusive hotel rates. You can see how many Honey Keys you have from your Account Overview. Head to Honey Travel to start saving on travel today! Step 1: Choose your destination, pick your travel dates, and decide how many guests and rooms you need for your reservation. Click Search. Step 2: Browse through different hotels at different prices. On the right, you can see the list of hotels available. 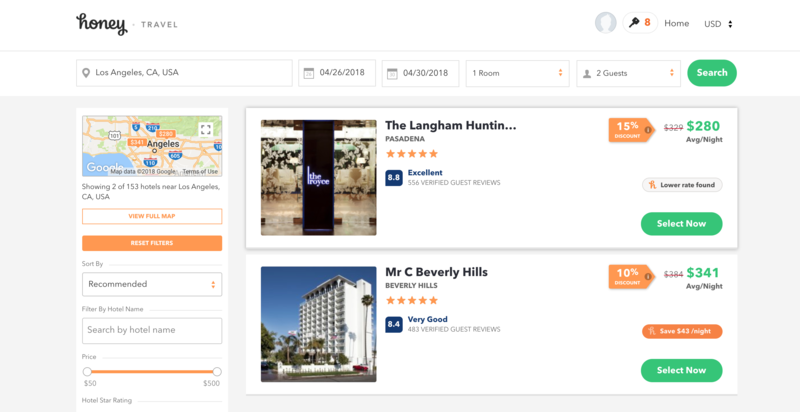 On the left side, filter your search by price, recommendation, or hotel name. Step 3: After you select an option, you can read a description of the hotel, view photos, and read customer reviews. If you continue to scroll, you will see a map of the local area and hotel amenities. On the right side, you will see your travel reservations details. Step 5: After you click Confirm Reservation, your travel reservation is booked and you're all set! 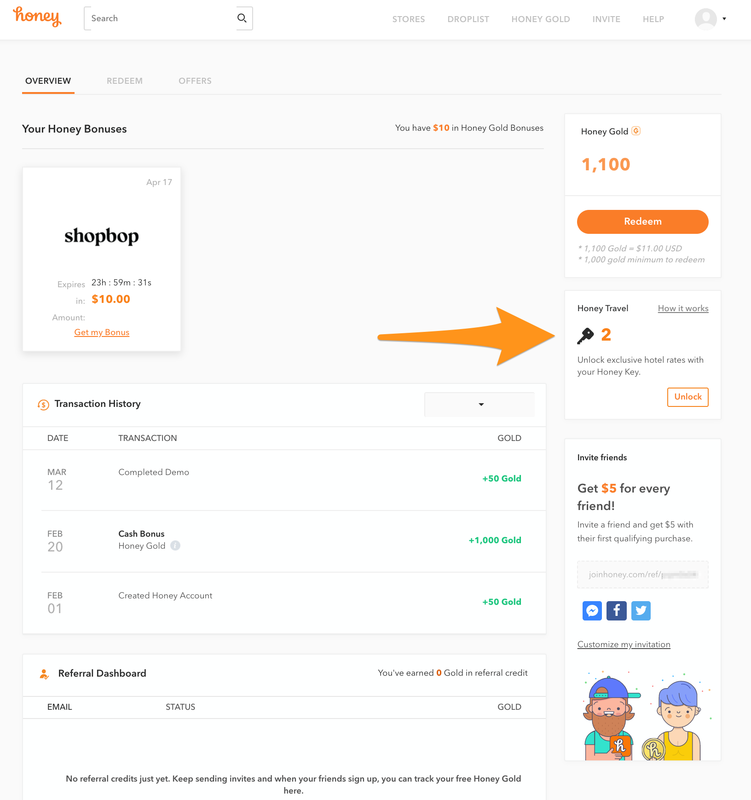 Note: if you're an international Honey member using Honey Travel, the price comparison badges do not differentiate between currencies and only use U.S. dollars. We will update this soon!